Games like Chronos seem to be a rarity these days: a narrative-driven action-adventure with a rich world, challenging combat, and no reward-driven feedback loops. 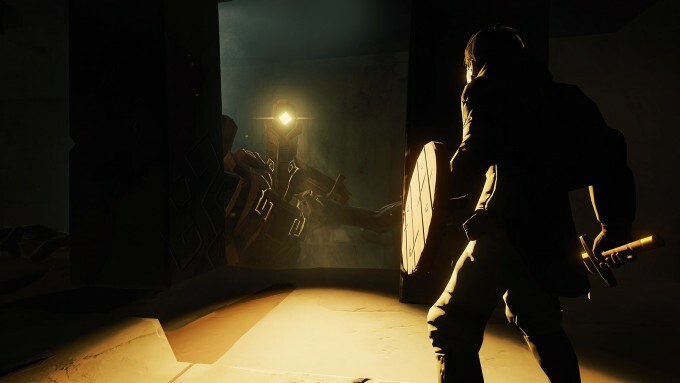 After just 20 minutes of what the developers tell me will be a near 12 hour campaign, I can’t wait to dig into Chronos’ masterfully directed world. 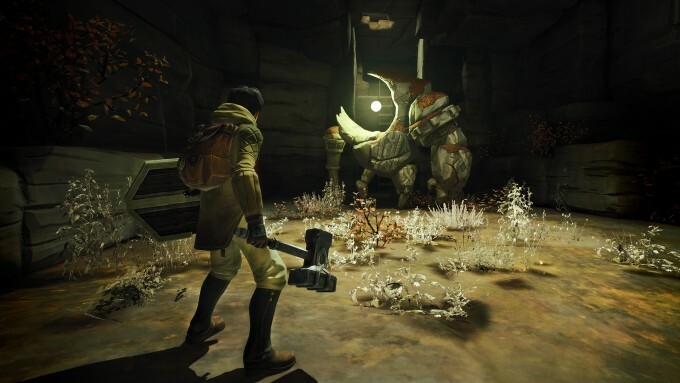 As a third-person game, you might not immediately expect Chronos to be a fit for virtual reality. 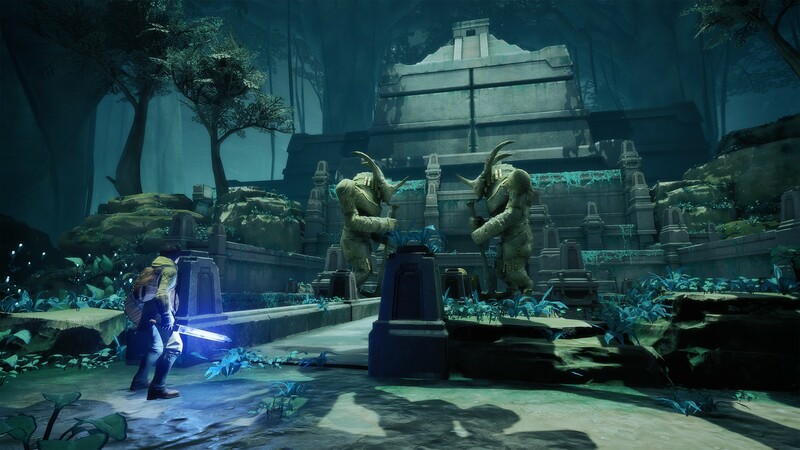 And yet with a world as richly detailed as the one created here by developer Gunfire Games, it would be a travesty to not be able to appreciate it in VR. I was stunned at the beauty I saw playing Chronos at the Oculus Game Days event at GDC 2016 this week. The creators have crafted vistas and atmosphere that I couldn’t help but gawk at. 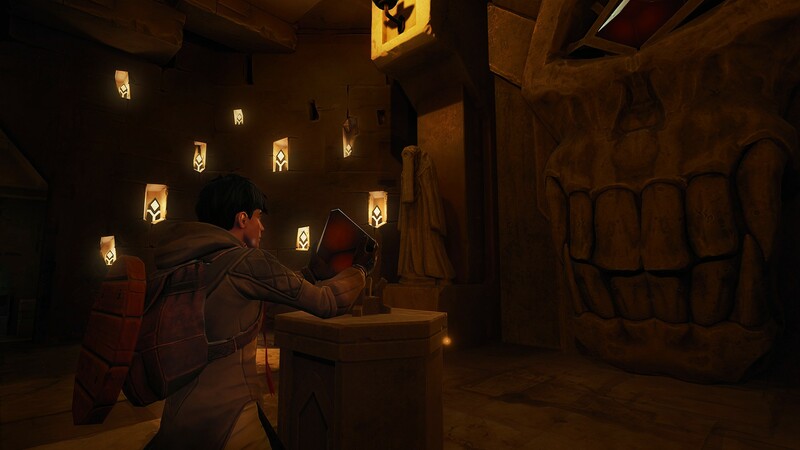 The third-person approach in Chronos has predetermined ‘fly-on-the-wall’ camera locations in each room/space. But the hero isn’t the only thing you’ll want to look at. The game takes a stylized approach to art design—which it absolutely nails—and places you in beautifully realized spaces, often of immense scale, with carefully directed views that encourage you to look all around the game’s incredible environments. To offer up one example, I entered a region of the Chronos world that had walkways connecting tree-to-tree dwellings poised in positively massive trees. When I looked up to see how high the trees actually went, I was met with the incredible scale of a trunk as wide as a bus and stretching up hundreds of meters above my head into a canopy. It was hard not to be in awe of the view. In my time playing, I had the option to use a sprint button to move more quickly, but it never saw any use because I had no interest in rushing through the beautiful spaces—not even in the hallways. So, Chronos has a beautifully realized world, but what do you do in it? The game has you controlling a character who wields a sword and shield. Movement is fairly slow and combat is methodical and impactful. While Legend of Zelda: Ocarina of Time (1998) is certainly an apt comparison, Chronos takes itself a little more seriously, presenting a harsh world and fearsome enemies, backlit by a harrowing quest. This more mature tone and style lends itself to an important aspect of Chronos: your character begins at age 18 and embarks upon the quest set before them. The quest can only be attempted once per year, which means if you fail (by dying) your character ages one year until they can make the next attempt—so the lore goes. This works into the game mechanically too. In your younger years it’s easier to grow your agility and strength skills. As you get older it will become harder to make progress in those physical areas, but you will become wiser and more receptive to arcane magic. 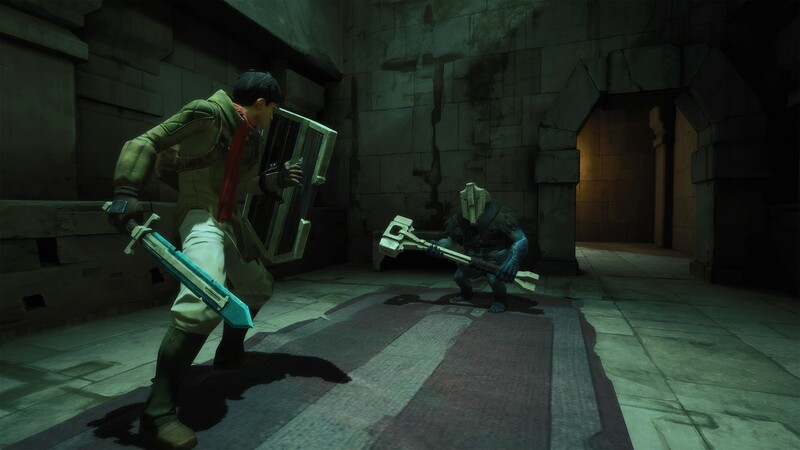 From what the developers describe, it sounds like you will grow your character greatly over time in Chronos, but at a metered rate that doesn’t feel so much like a grind for the sake of ‘progression’ as you find in many modern titles. The developers told me that it’s technically possible to beat the game without dying— meaning your character would remain 18 years of age by the end of the game—but said that such an achievement would be extremely difficult given the challenging nature of the game. 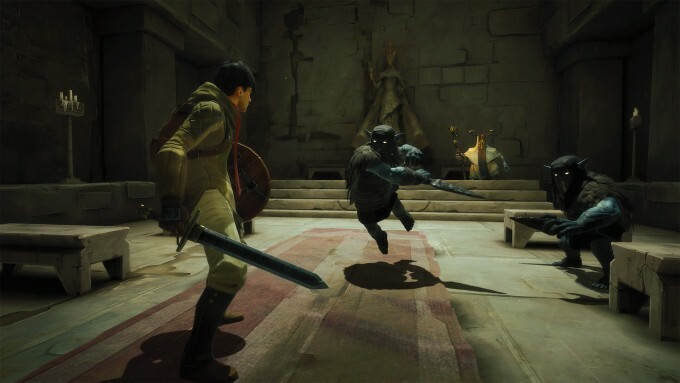 The developers said that Chronos “isn’t the kind of game that holds your hand.” I found this out the hard way when I opted to try to jump from one platform to the next and ended up plummeting to my death. Instead of resetting a room or two back (as I’m quite used to in modern games) I went all the way back to my last checkpoint which I hadn’t hit for some 10 minutes. This puts an emphasis on survival and really creates a consequence for dying. You can also sense the lack of hand-holding in combat, which is wonderfully methodical rather than hack-and-slash. If you’re blocking an attack with your shield, it isn’t enough to simply press the block button; you actually need to be facing the right direction or you’ll risk getting struck from the back or side. Your sword swings take a fair amount of time, especially for heavy attacks. You’ll be punished if you mistime these. It’s a risk/reward system that emphasizes the conflict of each fight. The world itself is one of mystery. There’s elements of World War II era structures and technology, but your character and his compatriots seem to be less technologically advanced than this, as though technology from that era is lost to them and they are just now rediscovering it. 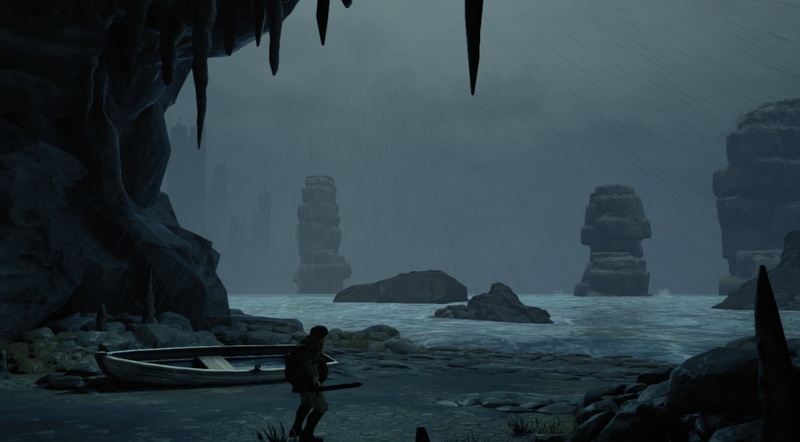 The game also has environments that are devoid of such technology and seem purely in the fantasy realm. You access these worlds through portal-like crystals, as though they are part of some other realm. The interplay between these facts seems ripe for discovery in the narrative-driven Chronos. With only 20 minutes to spend on a game that could be upwards of a 12 hour adventure, I don’t want to draw any grand conclusions about the game; all I know is that I can’t wait to step back into the world of Chronos to plumb its depths and explore its secrets. I plan on playing this game with an Oculus DK2, so you think the lower resolution will be a problem? 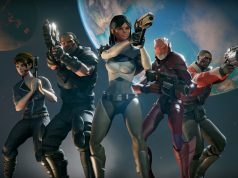 Is this game actually only going to work on Oculus? If so … my god the frustration that these companies are actively trying to lock down VR platforms with exclusive content like this. It could turn me from supportive of Oculus to outwardly and actively antagonistic if it’s true. By the way I just wrote to the studio that is making the game to ask them this question. I hope they answer. If they do I’ll share the answer here. 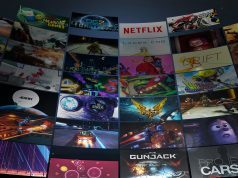 Eve Valkyrie is not an Oculus exclusive, it will be on the PSVR too, and probably the Vive in the future. Are you implying that Oculus’ SDK is not “a closed sdk that another company controls fully”? Also I thought that steamVR is just an implementation of the OpenVR API, which is open and would allow all VR programs to run on all headsets. Where’s the “closed sdk” in that? -Are you implying that Oculus’ SDK is not “a closed sdk that another company controls fully”? nope, but its an sdk that they themselves control, so if any problem with it ever arises, they can fix it themselves instead of hoping that Valve will go out of their way to fix it, do you see what I meant now? -which is open and would allow all VR programs to run on all headsets. Where’s the “closed sdk” in that?